Then one hundred and twenty one years ago in Kolkata, a phenomenal occurrence took place. The Lord made your appearance possible. In 1922 HG Bhaktisiddhanta Saraswati Thakura instructed you to propagate Krishna consciousness in the Western world. 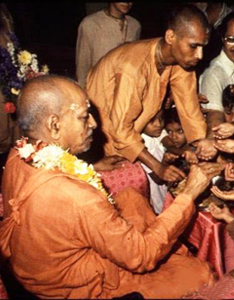 After a lifetime of preparation, you went to New York in 1965 and exactly fifty years ago you became the founder acarya of the International Society for Krishna Consciousness (ISKCON). Please accept my most humble obeisances at the dust of your divine lotus feet on this most auspicious occasion of your 120th Vyasa-puja celebration! 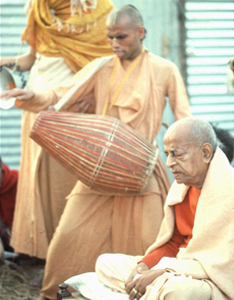 It is just remarkable that it coincides with the 50th Anniversary of ISKCON. 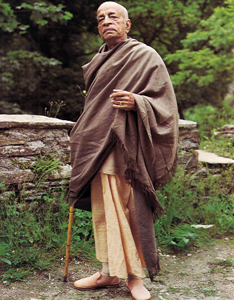 In Kolkata, 1922, your Guru Maharaja, HDG Bhaktisiddhanta Sarasvati Thakur singled you out in an assembly of devotees and guests with the words: “ You are an intelligent young man. Actually, Srila Prabhupad, your mission was a lifetime in preparation. In the business world there is a phrase – “80% preparation, 20% execution”. I was amazed and overwhelmed by the conviction and compassion in your statements about the crucial matter of going back to Godhead. I was equally amused by your simplicity and candor. These books are the repertoire of eternal knowledge and ancient wisdom, enriched with spiritually nourishing experiences of His Holiness Lokanath Swami Maharaj. Reading will lead to absorption which shall surely make our life sublime. A historical book on Pandharpur Dhama which is the holy abode of Lord Vitthala Rukmini. It is located in Southeastern Maharashtra through which the Chandrabhaga River flows. Known as the spiritual headquarters of Maharastrian bhaktas, Pandharpur Dhama is really a Bhuvaikunth on this earth. 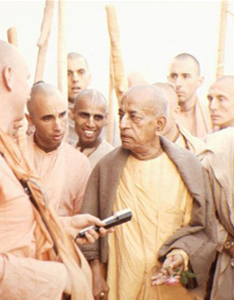 Lokanath Swami : Everyone in ISKCON has a connection with Srila Prabhupada. 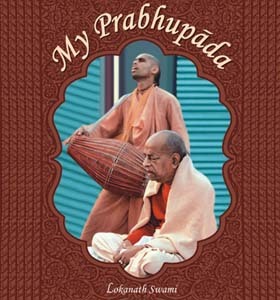 In this book Lokanath Swami shares his connection with Srila Prabhupada in the form of thirty Vyasa Puja offerings and six letters from Srila Prabhupada. 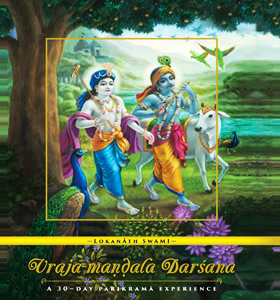 Join with the 2100 + club of happy readers of VRAJ MANDALA DARSANA and see why they appreciate it so much! We are very much thankful to you mataji for helping us getting the precious jewel of our Gurudev, his life and soul of our Maharaja – Vraaj Mandal Darsan. We got the 60 copies on first january 2016. We were very very happy. The first day itself we distributed around 20 copies and up to now we are left with only 15 copies . The book is really very special. May be very soon we will bring more books. Thanks to take me to vraja – mandala Darshana mentally. Enjoyed reading.Very well presented. I felt as if I was walking with Vaishnavas. I was absorbed while reading. You literary transported me to vraja bhoomi at least for the timebeing.I am keen and serious to participate in 2016 Kartik Vraja Parikrama. Lokanath Maharaja, Haribol!! Lokanath Swami Maharaja has been going for decades taking hundreds and hundreds and thousands of devotees on Vraja mandala Parikrama and he has compiled this book with all the information that he has researched and all the realisations that he has and all the enthusiasm is incredible and all the devotees had been with him. And now here I, we, have Vraja-mandala Darsana, a thirty days Parikrama series. Haribol! !.I don’t have to ask you to purchase a book. I don’t think you could resist. Experience the transcendental nectar of ” VRAJ MANDAL DARSANA” coupled with its illuminating references will surely make your sojourn more enriching.